Thanks to the State Farm initiative, Go To Bat, I was able to get a video interview with Ryan Howard while he was in Kansas City for the All-Star break helping promote the charity. And I am very happy to share it with all of you! If you want to support these great charities – Boys and Girls Clubs of America, Teach For America, American Red Cross and Habitat for Humanity – go to State Farm’s online Go to Bat game and swing for the fences! Just by playing, you have a chance of winning tickets to the 2012 World Series. Once a week, for 10 weeks, State Farm will randomly select the name of one contestant and make a donation of $18,000 to the charity that person chose to support, and that contestant also will win a trip for two to the 2012 World Series. My sincere thanks to Ryan Howard and to State Farm for the interview opportunity! That was seriously awesome! The Phillies are off tonight, but they will be back Friday at 8:40pm in Colorado to face the Rockies. 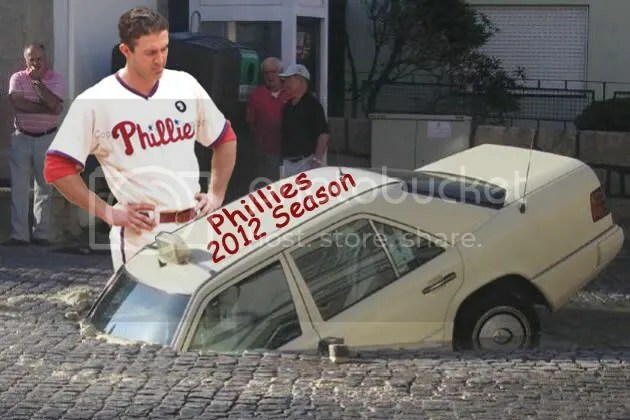 Cliff Lee is scheduled to pitch. Let’s see if the Phillies can get off to a hot start in the 2nd half!